IB courses are challenging to most of the local students as they are heavy in English context. It is essential to have fairly good English language skills in order to get a good score in IB. That’s why we have designed a new Grammar Builder course to help mainly non-native speakers to bolster their English language skills by improving their grammar to IB levels as quickly as possible. Our course will mainly focus on writing as most IB assessments are written, with some focus on speaking as necessary for the IB oral presentations. 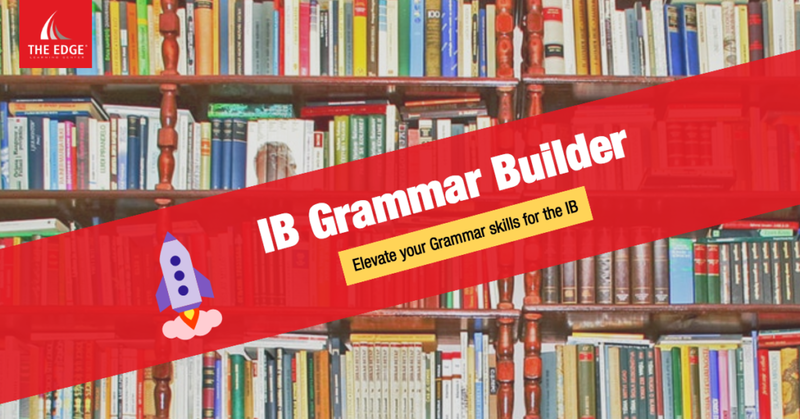 We currently offer 1 on 1 or private group lessons on this IB Grammar Builder Course, call us to find out more details.